Thomas DUNGAN [Parents] was born in 1698 in Warwick, Bucks, Pennsylvania. He died in 1784 in , Bucks, Pennsylvania. Thomas married Mary FINNEY. Mary FINNEY was born in 1705 in , Bucks, Pennsylvania. Mary married Thomas DUNGAN. Charles BELL was born about 1698. Charles married Mary FINNEY. Mary FINNEY was born in 1705 in , Bucks, Pennsylvania. Mary married Charles BELL. David DUNGAN 'Sr" [Parents] was born about 1714 in Northampton Twp, Bucks, Pennsylvania. He died on 25 Feb 1805 in Northampton, Bucks, Pennsylvania. David married Rachel VAN ZANDT in 1736 in , Bucks, Pensylania. Rachel VAN ZANDT [Parents] was born in Jan 1719 in , Bucks, Pennsylvania. She died on 20 Mar 1761 in , Bucks, Pensylania. Rachel married David DUNGAN 'Sr" in 1736 in , Bucks, Pensylania. Garret Vansant DUNGAN was born in 1737 in , Bucks, Pennsylvania. He died on 27 Mar 1792 in Bensalem, Bucks, Pennsylvania. Mary DUNGAN was born on 2 Jan 1739 in , Bucks, Pennsylvania. She died on 3 Jan 1832 in Hartsville, Steuben, New York. Elizabeth DUNGAN was born about 1740 in , Bucks, Pennsylvania. She died in 1804. Sarah DUNGAN was born about 1745 in , Bucks, Pennsylvania. David DUNGAN "Jr" was born on 30 Mar 1746 in , Bucks, Pensylania. He died on 5 May 1792 in Bensalem, Bucks, Pennsylvania. Garret VAN ZANDT was born in 1691 in New Utrechtg, Kings, New York. He died in 1746 in Wrighttown Twp, Bucks, Pennsylvania. Garret married Claetie CLAUNCHY in 1720 in Waterford, Westmoreland, Pennsylvania. Claetie CLAUNCHY was born in 1695 in , , New York. She died after 1746 in Wrightstown Twp, Bucks, Pennsylvania. Claetie married Garret VAN ZANDT in 1720 in Waterford, Westmoreland, Pennsylvania. Elizabeth VAN ZANDT was born on 13 Nov 1717 in Wtightstown, Bucks, Pennsylania. She died in 1746. F ii Rachel VAN ZANDT was born in Jan 1719. She died on 20 Mar 1761. Cornelius VAN ZANDT was born in 1720 in , , Pennsylvania. He died in Mar 1789 in , , Pennsylvania. M iv Garrett VAN ZANDT "Jr" was born in 1722. He died on 9 Oct 1815. F v Sarah VAN VANDT was born on 26 Aug 1726. She died on 11 Sep 1796. John BENNETT. John married Ann JONES. Ann JONES [Parents] was born in 1741 in Abington, Montgomery, Pennsylvfania. She died in 1785. Ann married John BENNETT. Derrick Geritse CROESEN was born on 16 Jul 1662 in Brooklyn, Kings, New York. He was christened on 23 Jul 1662 in Brooklyn, Kings, New York. He died on 21 May 1730 in Southampton, Bucks, Pennsylvania. Derrick married Elizabeth Kreigier or CREGIER. Elizabeth Kreigier or CREGIER was born in 1662 in South River, Delaware, Delaware. She was christened on 5 Jul 1662 in New Castle, Delaware. She died after 1710 in Of, Bensalem Twp, Bucks, Pennsylvania. She was buried in New York Dutch Church, New York, New York. Elizabeth married Derrick Geritse CROESEN. F i Catherine KROESEN was born about 1690. She died about 1785. William Robert JONES [Parents] was born on 1 Dec 1861 in , Wayne, Illinois. He died on 15 Sep 1930 in Yellville, Marion, Arkansas. William married Idella ROBERTSON in 1884 in , , Illinois. Idella ROBERTSON [Parents] was born in Of, Pine Oak, Illinois. She died in Yellsville, Marion, Arkansas from Shortly after child birth. Idella married William Robert JONES in 1884 in , , Illinois. F i Bertha JONES was born in Oct 1886. William "Willie" JONES was born on 14 Jan 1888 in Yellville, Marion, Arkansas. He died on 5 Sep 1888 in Yellville, Marion, Arkansas. He was buried in Yellsville, Marion, Arkansas. Ralph JONES was born in Sep 1892. He died in 1913 @ age 21. Idella JONES was born on 18 Nov 1894 in Yellville, Marion, Arkansas. She died in 1894 in Yellville, Marion, Arkansas. She was buried in Yellville, Marion, Arkansas. Peter STATEN "Sr" was born in 1780 in , , North Carolina. He died about 1850 in Wayne City, Wayne, Illinois. Peter married Mary "Polly" HARLAN on 15 Mar 1818 in , Butler, Kentucky. Mary "Polly" HARLAN [Parents] was born in 1799 in , , South Carolina. She died in 1873 in Wayne City, Wayne, Illinois. Mary married Peter STATEN "Sr" on 15 Mar 1818 in , Butler, Kentucky. 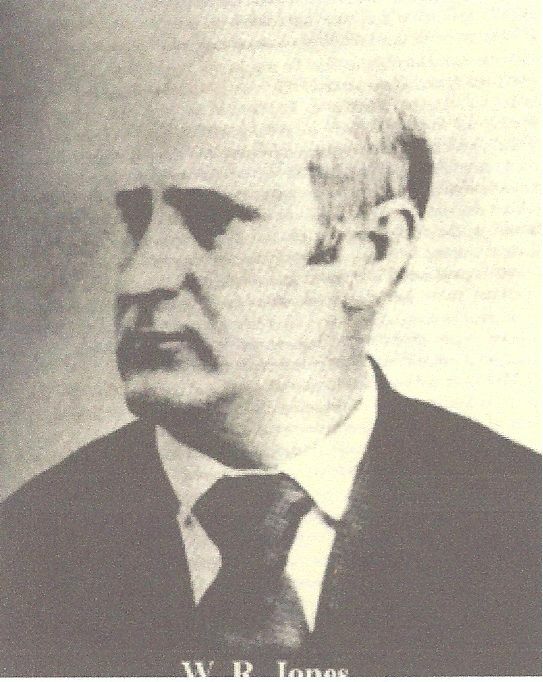 M i John STATEN was born about 1819. F ii Nancy STATEN was born on 20 Jan 1821. She died on 31 Dec 1894. Barbara STATEN was born about 1825 in , , Kentucky. M iv William D. STATEN was born on 10 Jul 1828. He died on 11 May 1876. M v Peter STATEN "Jr" was born on 11 Mar 1830. He died on 21 Sep 1910. F vi Frances Robison "Fannie" STATEN was born on 27 Feb 1834. She died on 4 May 1906. F vii Elizabeth "Betsey" STATEN was born about 1838. Vashti M. STATEN was born about 1839 in , , Illinois. She died in 1872 in , White, Illinois. She was buried in Seusbery Grave Yard, , White, Illinois. Robert M. BROOKS [Parents] was born on 9 Aug 1939 in , , Oklahoma. Robert married Lavada on 23 Dec 1956 in , , Oklahoma. Lavada was born on 13 Nov 1939. Lavada married Robert M. BROOKS on 23 Dec 1956 in , , Oklahoma. F i Lori BROOKS was born in 1960. M ii Randy BROOKS was born on 29 Mar 1962. Jonathan BROOKS was born in 1971 in , Okmulgee, Oklahoma. VISSER. VISSER married Lori BROOKS. Lori BROOKS [Parents] was born in 1960 in , , Oklahoma. Lori married VISSER. Dana Renae VISSER was born in 1986.